The living areas feature a large open plan kitchen, dining area seperate to the living space, all offering five star ammenities and air conditioning. The private pool is surrounded by tropical gardens and features outdoor shower, sun loungers and relaxation pavilions to complete the outdoor areas and ensure plenty of places to take in the sun. 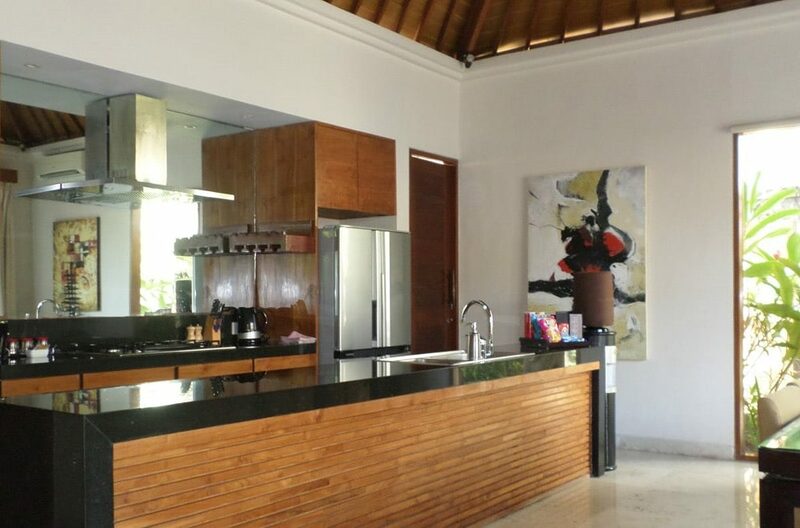 Villa Akasha offers 3 bedrooms on a 500 square meter parcel of land. 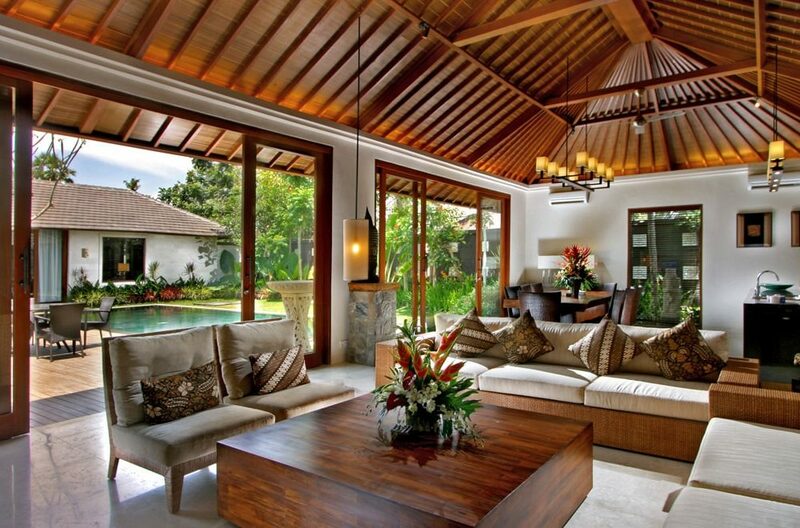 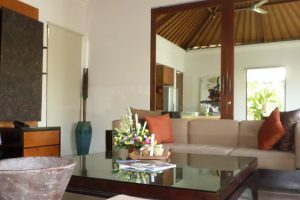 With four bedrooms and four bathrooms the villa will accomodate 8 guests easily. 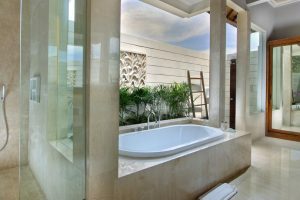 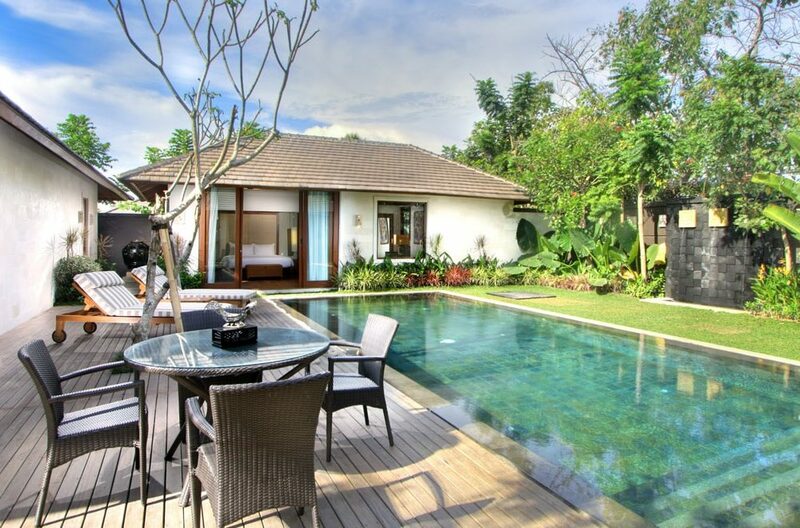 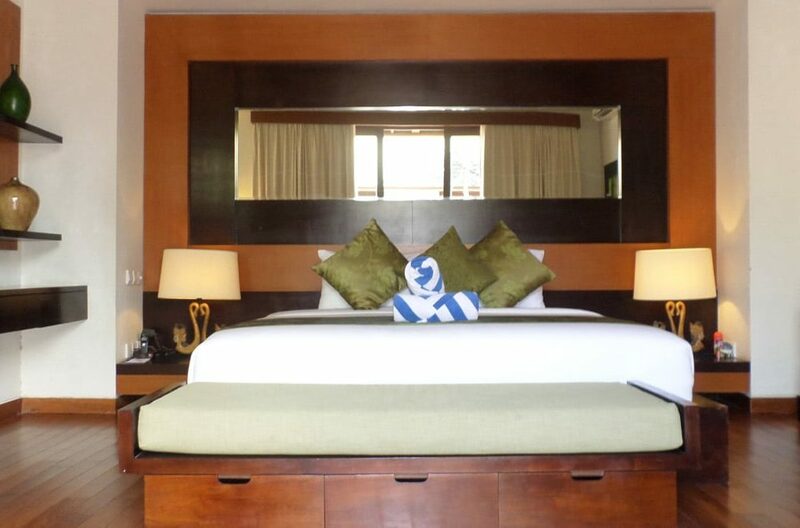 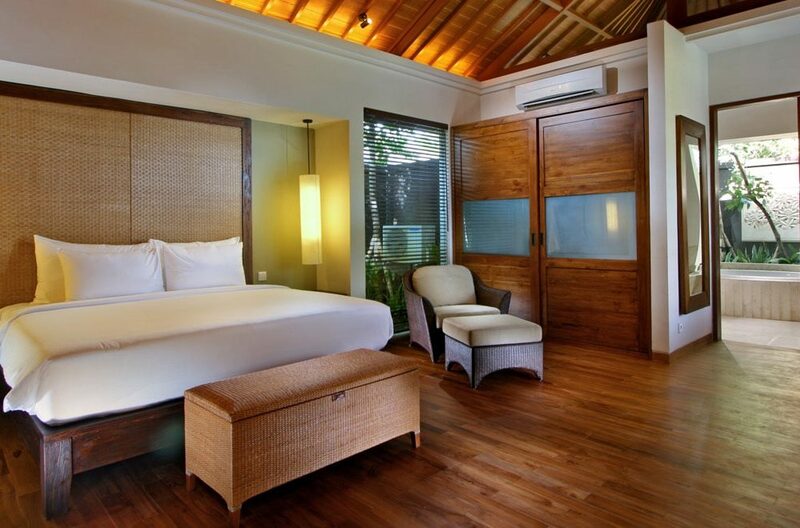 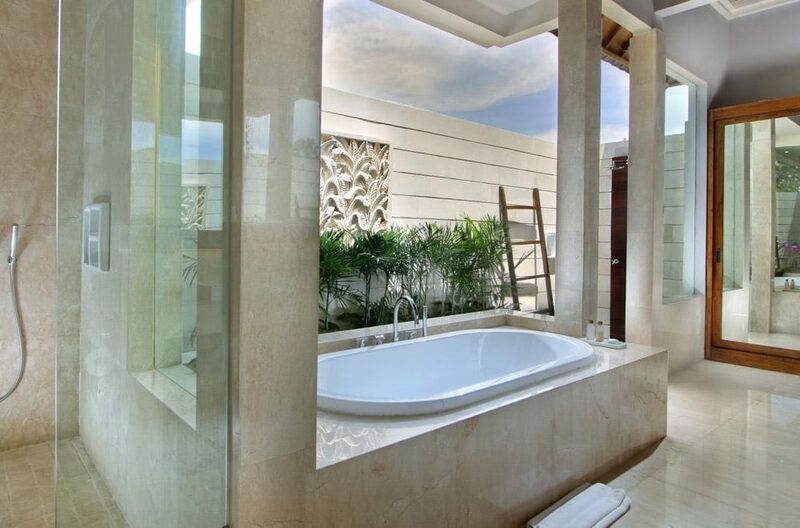 The Akasha is located on the northern side of Seminyak, just two minutes walk to the sunset beach of Batubelig. 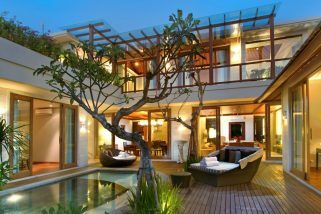 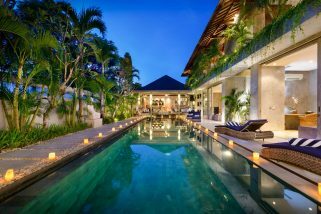 Perfectly set in a quiet and exclusive surrounding, the location is just a few minutes away from Bali’s most fashionable neighborhoods Petitenget, Oberoi and Seminyak where an erray of shops, bars and restaurants offer plenty of choices.